April 9, 2019—The project to enhance Potter Hall at Missouri Western State University has received a $1 million gift from Drew H. Brown of St. Joseph to support the addition of a visual arts annex. 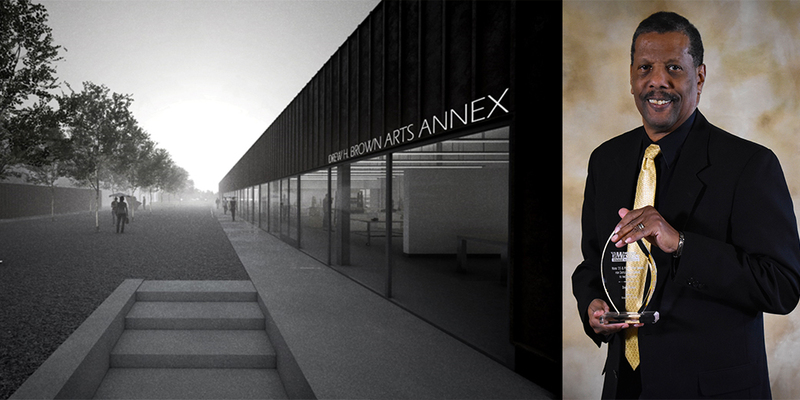 When constructed, the addition will be known as the Drew H. Brown Arts Annex. The announcement was made during the Missouri Western State University Foundation’s annual Donor Appreciation Reception April 9. Brown served a long and distinguished career in the U.S. Army, retiring as a lieutenant colonel in 1992, and is currently a self-employed investment manager. He served on the Missouri Western State University Foundation Board of Directors and is currently chair of the Missouri Western Arts Society. He has also served as a mentor and volunteer through the University’s Center for Multicultural Education, mentoring students of color and providing guidance and encouragement to them in their pursuit of a college education. Last fall, he received the Herb ’35 and Peggy Iffert Award for Outstanding Service to the University from the Missouri Western Alumni Association. Brown’s gift is part of Missouri Western’s Centennial Capital Campaign, launched in January, 2015, the University’s centennial year. Brown’s gift brings the campaign total to $30,448,759 in outright and deferred pledges and gifts, exceeding the initial celebration goal of $20 million by more than 50 percent. But Jerry Pickman, vice president for university advancement and executive director of the Missouri Western Foundation, said there is more to do. The Centennial Capital Campaign funded significant improvements to Craig Field at Spratt Memorial Stadium and the Looney Arena, endowed a first-of-its-kind population health management degree program, and grew the Foundation’s endowment. The five-year campaign will end in January 2020. Addressing donors at the reception, Brown encouraged them to give to Missouri Western.